So ever wondered what happened to the real Christmas tree that you choice in a muddy field in December? We always get our tree from the same farm and return the tree to them to recycle. Well they don't exactly recycle the tree, more like mulch it and use it as compost for the trees, we will cut down in the future. 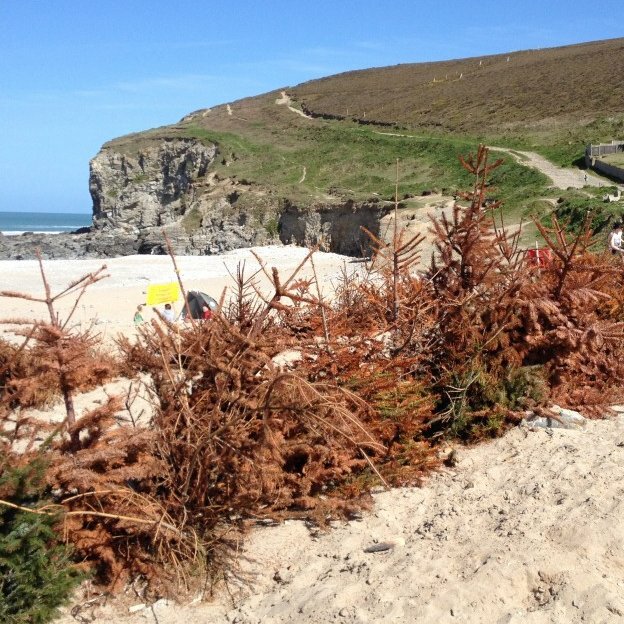 Some enterprising councils around the world put Christmas trees to good use. The most common that we have read about, is using them to help prevent erosion. In Louisiana they have been using Christmas trees to help protect the coastal wetlands because Christmas trees take a long time to decay. In other parts of the US such as Galveston in Texas, Gulf Shores in Alabama and best known Long Island, New York, the trees are used to help stablise and encourage sand dune formation at beaches. Placing the trees on the beach, the limbs of the trees help stop blowing sand and the idea is that after time the trees will be come covered with the sand. The other advantage of using Christmas trees in this manner, is the invisible environmental impact. As proven in Louisiana, most of the trees, land up in landfill. The project there has proven to be also cost effect, due to the cost of disposing trees in landfill being more expensive than reusing them in the coast wetlands. So it would be in the UK the use of Christmas Trees would be an issue. When in other parts of the world there has been glowing praise for the success of similar projects. But in Cornwall there is a clash of interests between the environment and it been an eye sore. Surely it is better to have an eye sore of a beach than no beach or dunes.